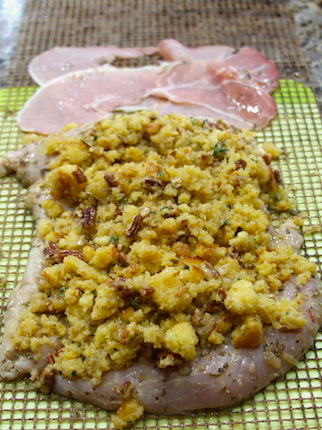 Remove the turkey breast from the breast bone if necessary. Pull the skin off and discard. Butterfly the breast, to make a flat, even piece of meat. Marinate in Smoke on Wheels BBQ Marinade for one hour. Meanwhile, over low heat, cook the shallots in a tablespoon of oil, with a pinch of salt until lightly browned. Combine the remaining stuffing ingredients in a bowl and mix to incorporate. Preheat your Yoder Smokers YS 640 to 325ºF. Remove the turkey from the marinade. Wipe off excess marinade. Lay the breast flat on top of the Frogmat. Season the meat with salt. 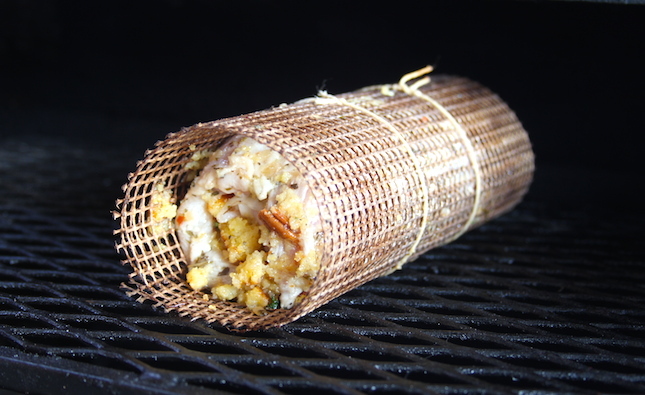 Evenly spread the stuffing over the entire surface of the breast. 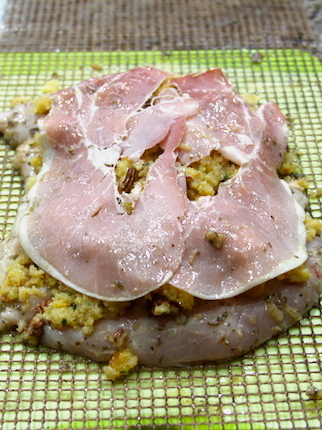 Place two slices of prosciutto over the stuffing. Roll the breast up. Wrap it with the Frogmat. Tie the Frogmat with butcher’s twine. Cook until internal temperature reaches 165ºF, about one and a half to two hours. Rest 10 minutes. Slice to serve.